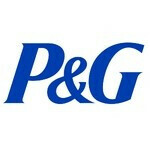 It seems like the end of coupons as we know them might be near, and Procter & Gamble is the latest company to put another nail in their coffin. It was just recently announced that P&G has partnered up with Mobeam in delivering digital coupons right to users' mobile devices. The clever part is that the barcodes contained within the digital coupons will be scannable by the common red laser barcode readers – the kind that pretty much every retailer outlet uses at checkout, and Mobeam will be providing the technology to make that possible. The concept of using shopping coupons on a smartphone is not exactly new. As a matter of fact, Target introduced a similar service well over a year ago. Procter & Gamble, however, wants their solution to be much more widespread and will start negotiations with the big boys in the smartphone industry so that its coupon app can land on as many mobile devices as possible. Live testing of the service is due to begin in 2012, after which the software will be made available to the public.